What Is Tort Reform in a Medical Career? Tort reform is legislature usually passed at the state level which affects the malpractice laws of a state. Tort reform usually includes laws that limit, or cap, the amount of money that patients can receive as an award from a clinician they've sued for malpractice. Additionally, tort reform caps the amount of punitive damages a judge can order the physician to pay. In some states, tort reform also puts tighter restrictions on medical malpractice suits to be tried in court, as opposed to dismissed or dropped. Capping these payout amounts on malpractice suits helps to keep malpractice insurance costs down for physicians and clinicians who are required to carry malpractice insurance. (When the medical malpractice insurance company is ensured that they would pay a lower payout in case of a settlement or judgment, the insurer does not have to charge as high of a premium.) 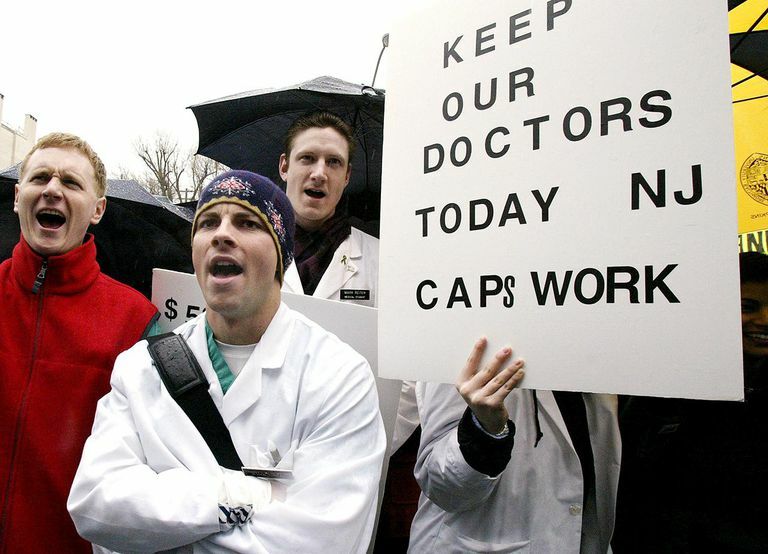 These caps on malpractice awards also create somewhat of a snowball effect that positively impacts the medical practice environment in a state that has tort reform, making it a more attractive state in which to practice medicine. By removing the exorbitant rewards that can be won in a single suit, and making it more difficult to get a medical malpractice case in court, the state discourages "ambulance chasers" and malpractice lawyers who may be less than ethical, or overly opportunistic in their practices. In sum, tort reform helps to weed out some of the more frivolous or overly ambitious malpractice suits, so that only the more legitimate ones are pursued in court. On the other hand, while tort reform is favorable for clinicians and health providers, some people feel that tort reform is not fair in that it prevents physicians who make mistakes from paying fully for their errors. Whatever your thoughts are on tort reform, there is no question that it attracts quality physicians to a state, and that tort reform makes for a more physician-friendly practice environment. Often, physicians who work in tort-reform states pay tens of thousands of dollars less in annual malpractice premiums than physicians in other states. However, malpractice lawyers would probably prefer to practice in a state that has not implemented tort reform, because they can earn more money in states where the malpractice settlements, payouts, and punitive damages are unlimited.